Torus Power transformers electrically isolate connected equipment from the incoming power. These isolation transformers are engineered and manufactured by Plitron, the world’s leading innovators in toroidal technology. Torus Power Toroidal Isolation transformers feature triple shielding for ultimate noise attenuation and isolation from the increasingly noisy and polluted power lines. LONO (Low Noise) technology eliminates audible noise in the Torus Power transformer regardless of line conditions, including DC offset and over- voltage. To ensure ultra-silent operation, a retaining band (for 3U, 4U and 5U models) suspends the transformer inside the cabinet. Torus Power meets the exacting NC10 acoustic noise standard, making it suitable for use in the quietest environments (including recording studio control rooms). Torus Power Transformers restore incoming power to its clean original state using Plitron’s NBT transformer technology. Torus Power design carefully balances the inherent inductance, capacitance, and resistance characteristics of the toroidal transformer, enabling the transformer to act as a very effective low-pass filter. 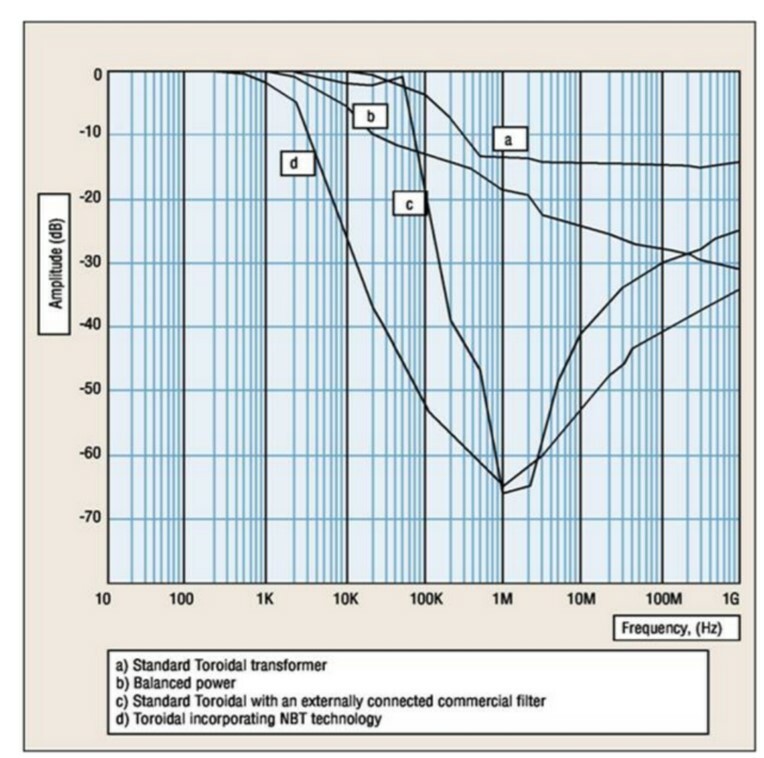 The corner frequency for noise attenuation is 2 kHz with an attenuation rate of 12dB/decade to 500 kHz. Another important advantage of NBT technology is the elimination of external filters, such as capacitors, and other components that can fail over time. Torus Power attenuates both Differential Mode (L-N) and Common Mode (G-N) noise. Torus Power protects connected equipment through innovative series mode surge suppression that also pays attention to keeping the power clean. Most surge suppression circuits are shunt-mode. Excessive voltage surges are “shunted” to ground, which raises ground voltage and may contaminate audio and video signals. Torus Power’s design absorbs surges more than 2V above peak line voltage, so ground is not affected. Torus Power surge suppression meets IEEE endurance standards of 6000 Volts, 3000 Amps, with 1000 repeats. Torus Power further innovates by using the Toroidal Isolation transformer to replace the series inductor typically used by other brands. This ensures extremely low stray magnetic fields within the chassis. 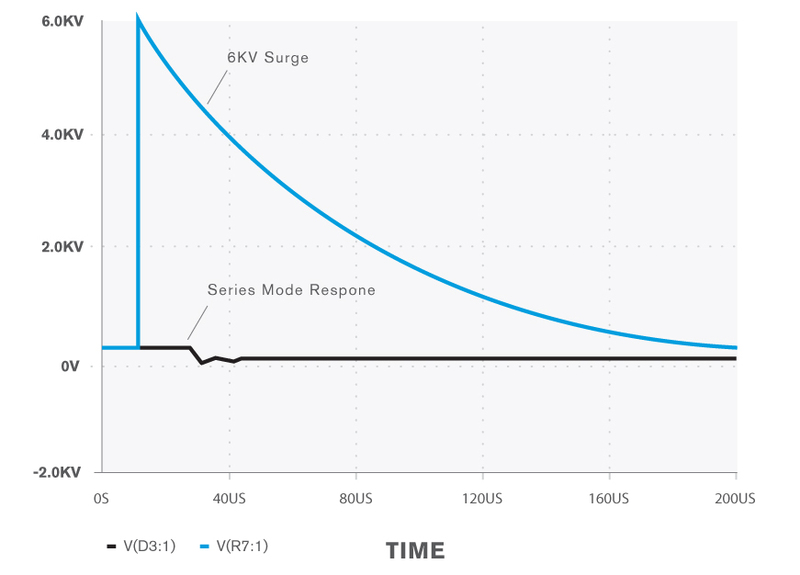 Voltage sags, brownouts, and surges can stress components and shorten equipment life. 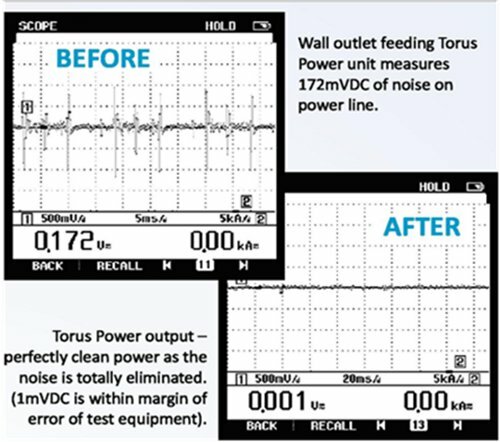 Torus Power AVR deals with these problems effectively, providing stable voltages for your valuable equipment. AVR technology continuously monitors incoming mains voltage to detect high and low voltage conditions, and seamlessly and instantaneously triggers compensating circuitry to ensure the voltages powering your equipment are always optimal. Torus Power AVR feature is preprogrammed to power off the system when voltage fault conditions occur, adding another level of protection. An attractive front panel LED displays voltage conditions (input / output voltage), current draw, and IP address. All Torus models equipped with the AVR feature also include RS232 control, compatible with Crestron. Torus Power IP addressable models meet the needs of the custom installation industry with cloud control or IP based monitoring and control. All AVR and AVR2 models feature a built in web browser interface accessible on the local area network, via VPN, or through Ihiji remote network management. Other useful features include password control, automatic e-mail notification of fault conditions, and delayed switch-on (5 seconds) when power is turned on, or restored. All Torus models equipped with the AVR feature also include RS232 control and are compatible with Crestron and Savant systems. The AVR2 series extends the capabilities with individual IP- addressable duplex outlet zones, scheduling, and automatic reboot features. Compatible with ihiji cloud based monitoring and control. Crestron and Savant modules are also available. Custom control features include individually addressable outlet zones, power-up sequencing with selectable delay time between zones, scheduling features allows automatic control (on/off) of any outlet zone, and more.